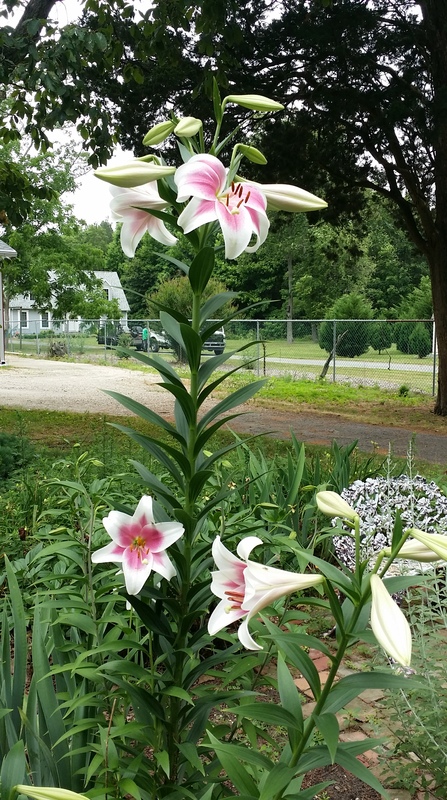 Asian Lily – They are taller than me!!! I am 5’5″ and this stalk is at least 5″ higher. 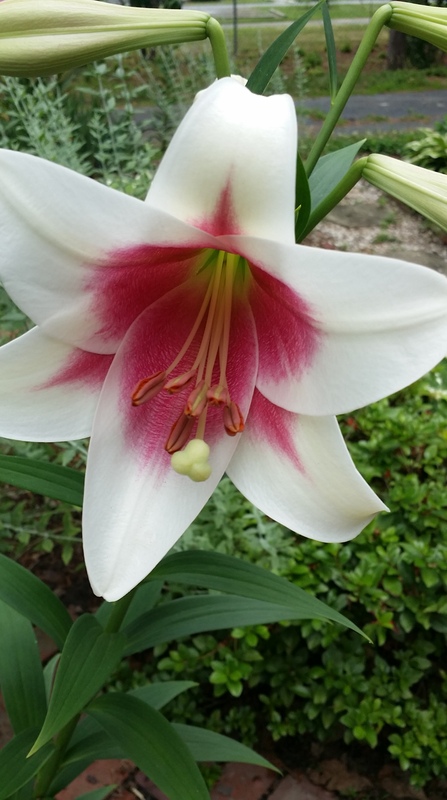 I planted a bunch of these bulbs about 7 years ago. They are starting to really spread! Love them. 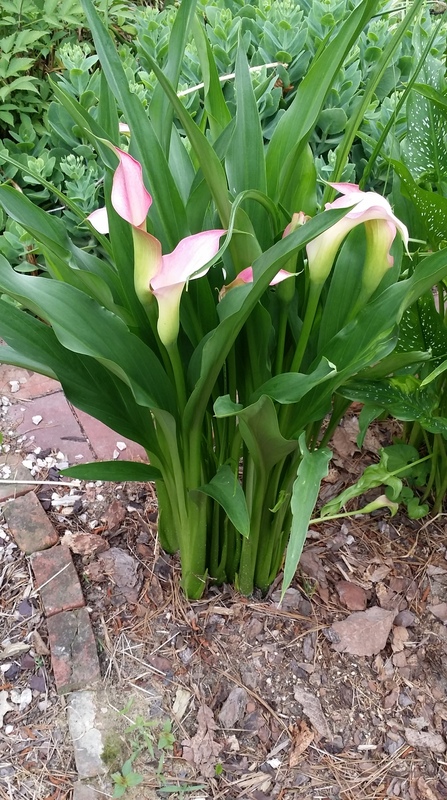 These are the light pink Calla Lily – they have a solid green leaf. 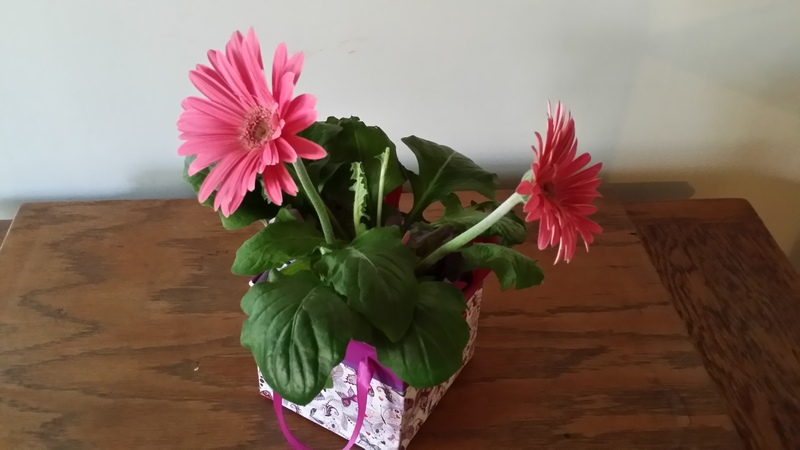 I also have one with a speckled leaf that hasn’t bloomed yet. I am hoping it is the darker pink. Should know in another week or so. These light ones have really come up nicely this year, no rabbits hung out in the garden this winter. 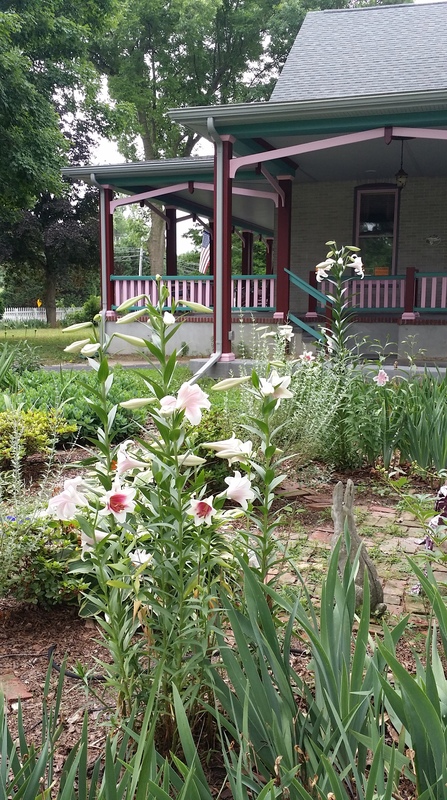 Wondering if my garden expert friends can give me advice on “dividing” them? They have been in the ground here about 7 years. I would love to be able to get them going in other places in the garden. I’ve been busy this week. 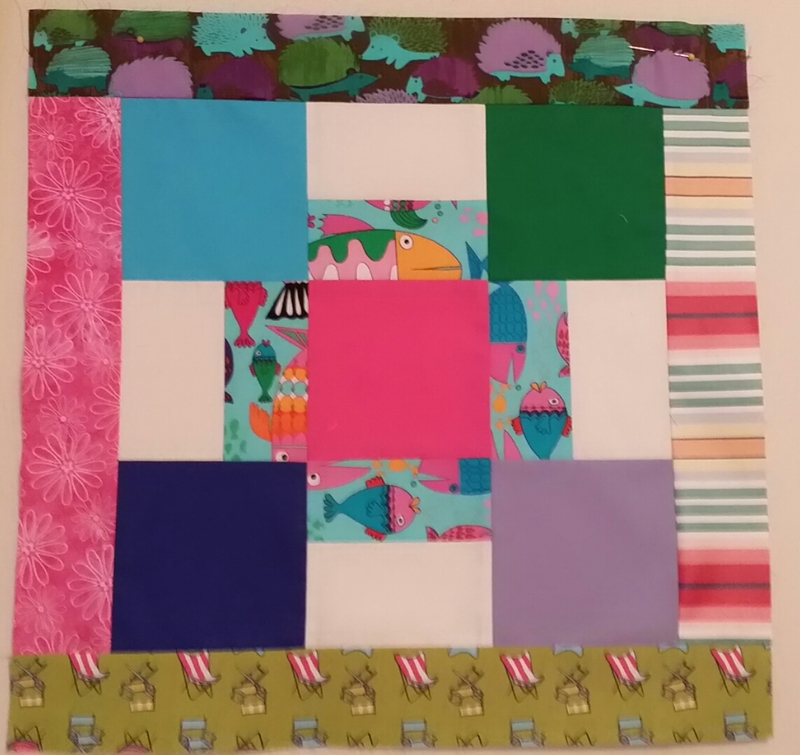 I accepted a challenge to build 2 quilt blocks for a designer I took a class from last fall in Houston. She sent me some strips and squares of fabric and instructions, I added print strips and squares. I followed her instructions and built these 2 blocks. 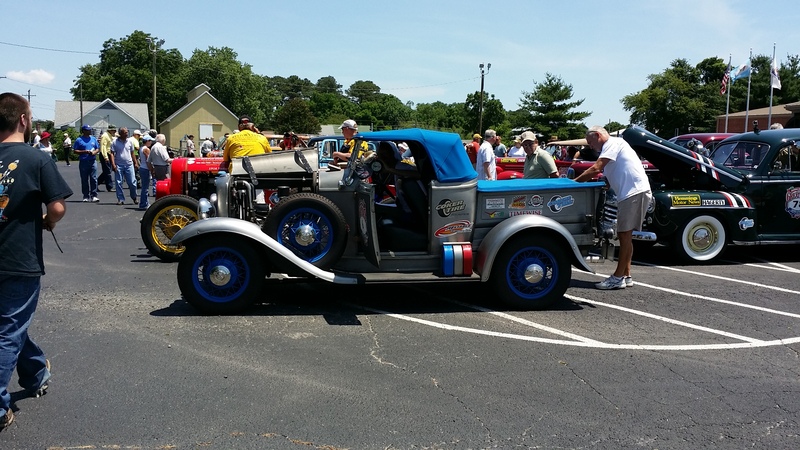 Good thing they came through on Tuesday….because on Wednesday we had torrential rain!! 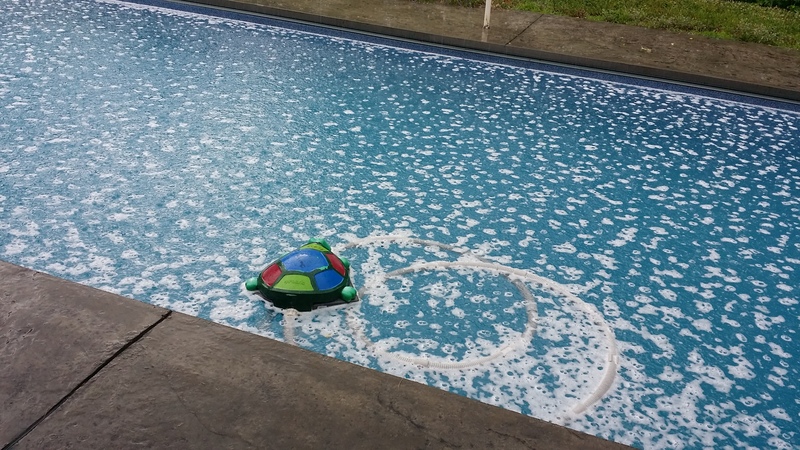 Can you see the rain bouncing in the water of the pool? Since it was raining, I decided to get busy and work on my “Snow Drift”. 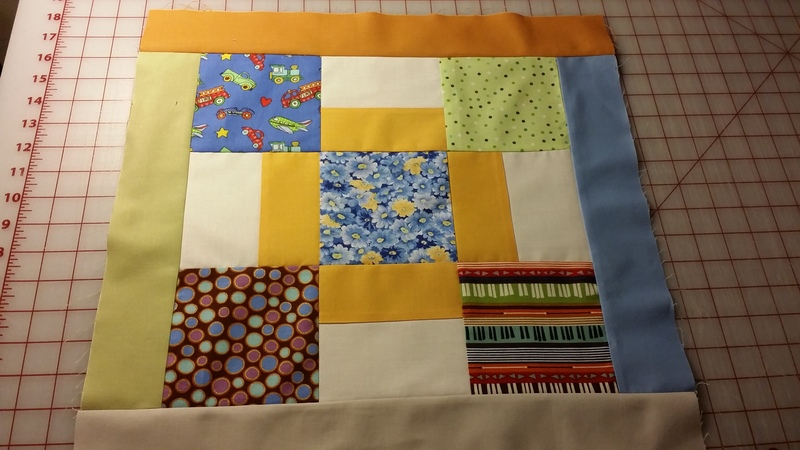 I managed to get it put together and by the end of Wednesday night I had it quilted. 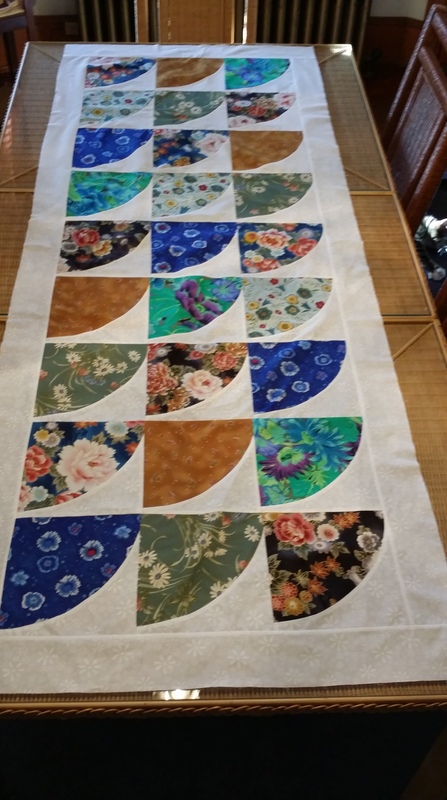 Binding is in progress now, but here is a sneak peak at it before it was layered. It is going to be just perfect on my table. Nearly as long and almost as wide as the dining room table. Of course, after the quilting and the trimming, and the binding and the washing, it will shrink up a little bit!! In between the fun, I am working on finding speakers and instructors for the Quilt Guild that I belong to. If you know somebody great that is near the Mid Atlantic (Delaware, Pennsylvania, New Jersey or Maryland), let me know. This job is tough!! Thank goodness I have a committee to help make the final choices, but I have to get them a list of options. I have spent a lot of “quilt time” at the computer, researching. Ready to get back to my sewing. Afraid to look at my list of things that need doing! 🙂 Have a great weekend, hope it is sunny and bright where ever you are!